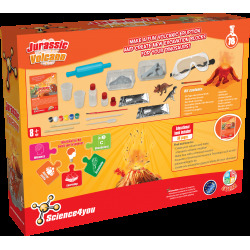 Build your own volcano and excavate fantastic dinosaurs with the Jurassic Volcano Kit! 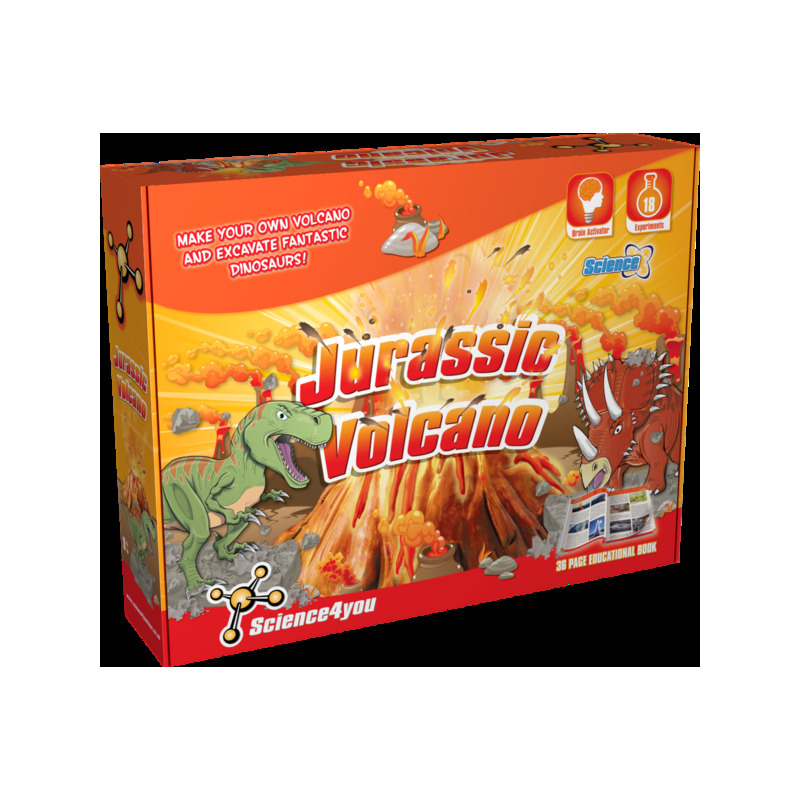 You will love learning how to make a fun volcan eruption and create new excavation blocks for your dinosaurs! 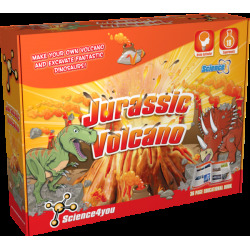 How to build your volcano and make a fantastic volcanic eruption. How to make your own volcanic lava with a chemical reaction. How to excavate a T-Rex and Triceratops as a real palaeontologist. How to build new plaster excavation blocks for your dinosaurs. 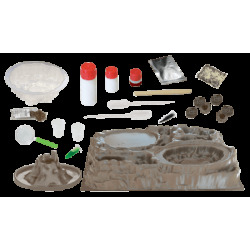 This toy includes up to 18 experiments for kids as well as an educational book with 36 pages.